Taxable entities are individuals and corporations required to file tax returns. 3. Which States Don't Have State Income Taxes? The IRS considers most individuals, married couples and corporations as taxable entities. Taxable entities must file tax returns each year if they have any taxable income. Except for qualified non-profit businesses, officially classified as 501(c)(3) entities by the IRS, or cooperative organizations, such as your local Little League, most people and corporations are taxable entities. Even non-working minors under 18 are taxable entities and must file tax returns if they have income above minimums stated in IRS tax tables. Only one major business structure is a separate taxable entity. The C corporation is considered a legal “person” created by the state. The IRS treats C corporations as separate taxable entities that pay taxes based on net income each year. Conversely, the IRS taxes the owners of the other major business structures, including S corporations, general and limited partnerships, sole proprietorships and limited liability companies (LLCs), individually at their specific personal tax rates. While trusts are neither individuals nor businesses, when they have income, they are considered taxable entities. 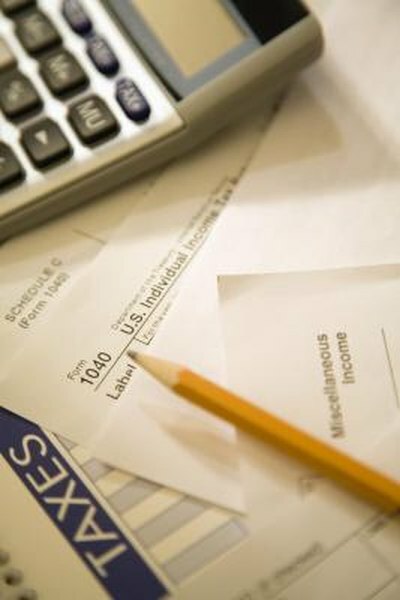 Trusts need to file annual tax returns, including exemptions, deductible items and any tax credits for which they qualify. The trustees and beneficiaries, often individuals or groups, are not taxed personally on trust income. Corporations, taxed on their net earnings, and their stockholders often face double taxation issues. Corporations pay dividends after tax. Shareholders receiving dividends must include these payments in their personal income at year's end. Since companies pay dividends out of the current year's after-tax income and retained earnings and the prior years' income, the IRS taxes the company and their shareholders twice. Both corporations and their individual shareholders are taxable entities, which provide the legal basis for the double taxation. All US citizens are individual taxable entities. Whether single, married filing jointly, head of household, widow or widower, individuals pay taxes on income earned in the U.S. In many cases, the IRS also has authority to tax U.S. individuals' income from foreign sources. Even though couples filing jointly involve more than one person, the IRS treats them as one taxable entity. Sole proprietorship net income is also included in the proprietor's personal taxable income. Strictly defined, partnerships, S corporations and LLCs are not true taxable entities. The organizations are not taxed as specific entities, since their income passes through their books into the hands of the partners, stockholders and members, owners of an LLC. Since sole proprietorship income is included in the proprietors' personal tax return, sole proprietorships also are not classified as taxable entities. IRS: What Is Taxable and Nontaxable Income? Who Needs Tax Form 1099? How Much in Taxes Do I Pay on the Alaska Permanent Fund Dividend (PFD)?